Nothing can stop Bieber Fever — not even a glass wall the pop star walked into backstage during one of his concerts Thursday! The "Boyfriend" singer, 18, finished his performance before a Paris crowd, but passed out after he left the stage. 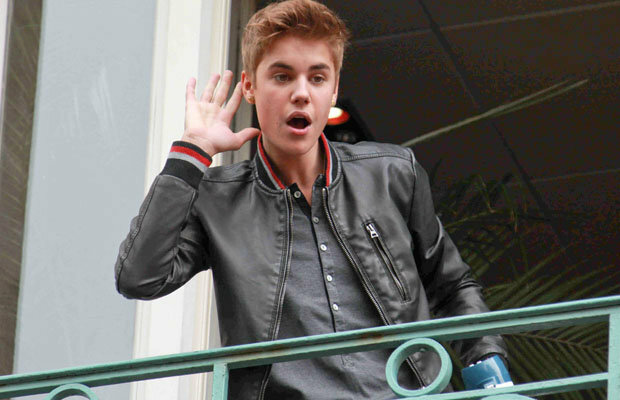 TMZ reported that doctors cleared Bieber, but revealed that he suffered a concussion. However, the Biebs appears to be feeling much better today! 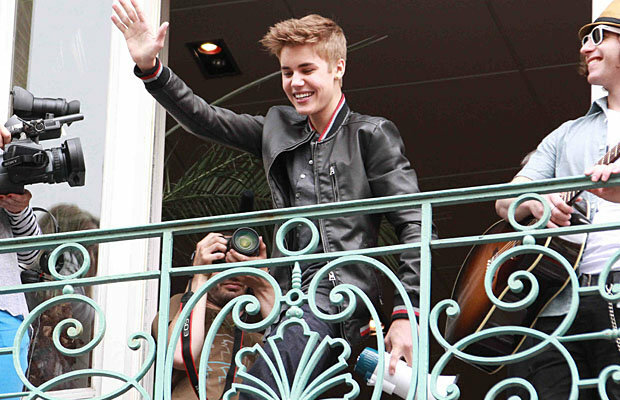 On Friday, he gave a mini-concert on the balcony of his record label's office in the romantic City of Light. 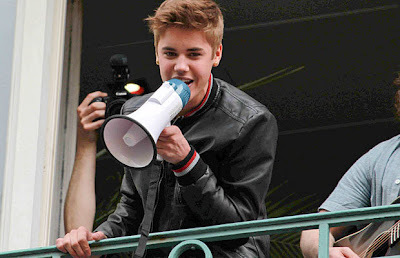 Bieber, who invited Twitter followers to the performance ahead of time, sang songs like "Baby" and "One Time" with the help of a megaphone as fans watched. "Loved singing with all of you," Bieber wrote on Twitter after his set. 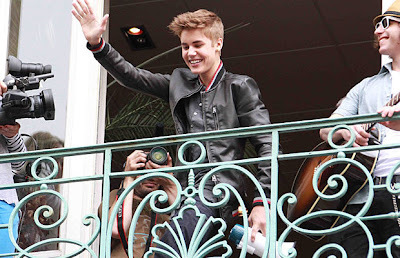 Following his balcony concert, Bieber headed to hang out with a couple of famous names. He tweeted, "about to meet up with big bro's @KanyeWest and @JayZ and WATCH THE THRONE here in PARIS! Then Im performing after...." The singer is touring Europe as he gears up for the release of his new album called — what else from a guy who calls his fans Beliebers? — Believe. The new collection of songs hits stores June 19, but you can pre-order it from Bieber's website as part of several packages being offered. Die-hard fans, for instance, can buy the limited edition platinum package that includes a deluxe version of the album, as well as a T-shirt, a poster, a bracelet, and a framed autographed photo for the bargain price of $120. Bieber's travels to promote the album have already taken him to Norway. In Oslo, TMZ reported dozens of girls were injured and 14 were taken to the hospital for treatment after a crowd gathered for a free Bieber concert became out of control. He turned to his Twitter account to try and calm the crowd. "NORWAY - please listen to the police. I dont want anyone getting hurt," he wrote. "I want everything to go to plan but your safety must come first ... for the show to happen u must all listen to the police. we are all concerned for your safety and i want what is best for u. please listen." The Canadian heartthrob did eventually perform on Wednesday. His next scheduled show is June 9 at venue that can hold a whopping 90,000 people: London's Wembley Stadium.